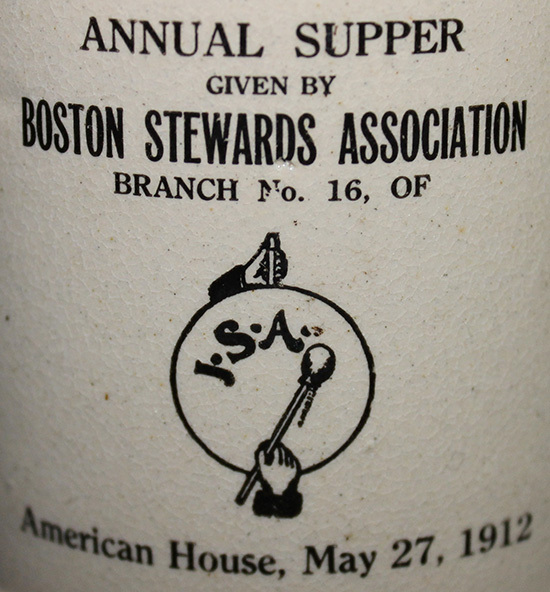 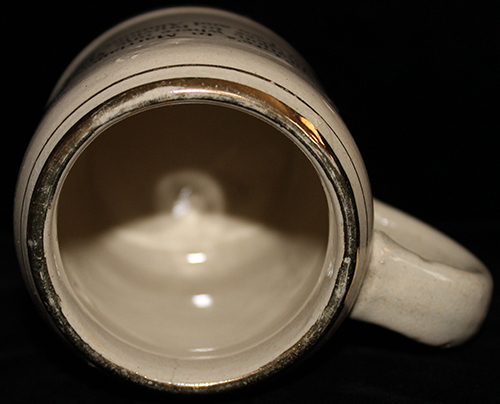 ARTIFACT: This is a circa 1912 mug from the Boston, Massachusetts Stewards� Association annual supper, which was held at the American House on May 27th of that year. 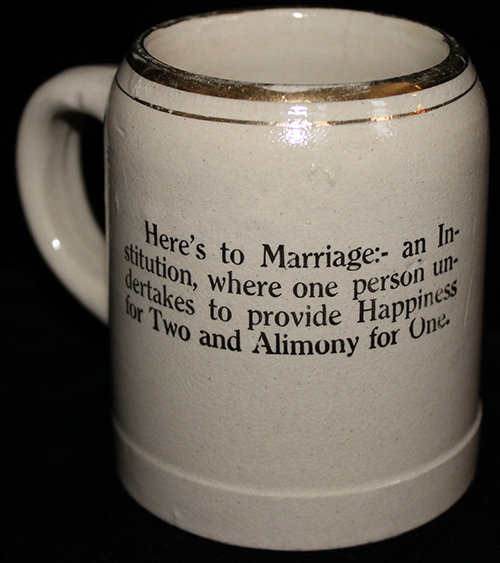 The reverse of the mug presents some debatable wisdom: HERE�S TO MARRIAGE:- AN INSTITUTION, WHERE ONE PERSON UNDERTAKES TO PROVIDE HAPPINESS FOR TWO AND ALIMONY FOR ONE . 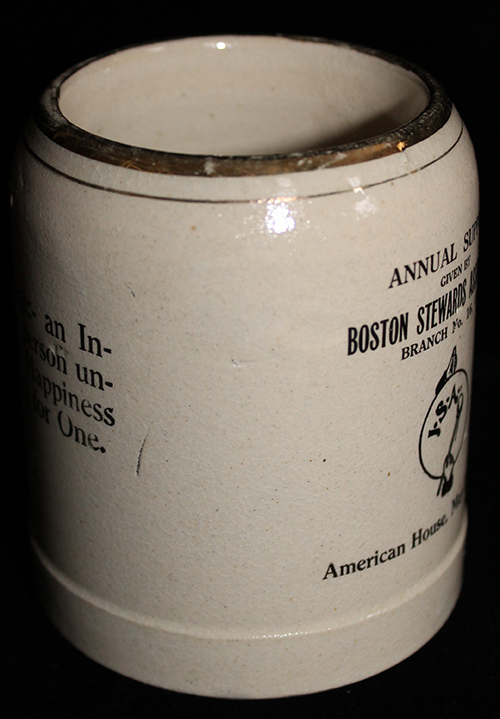 SIZE: Approximately 3-15/16� height and 4-3/4� width. 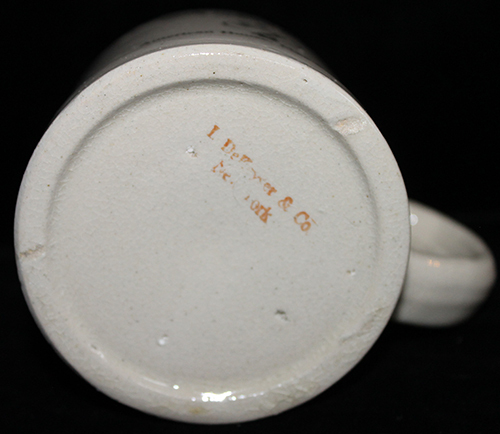 MARKINGS: DeKEYSER & CO. NEW YORK. 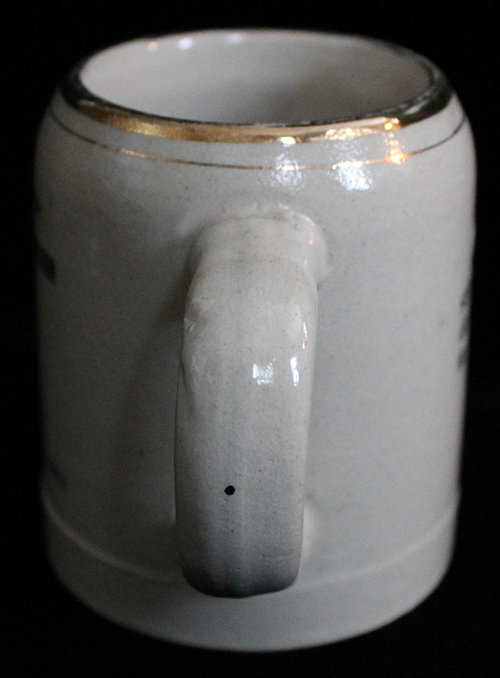 CONDITION: 8- (Very Fine-Excellent-): Mug shows spots of light wear only, mostly on the gilt paint at the rim and the border.